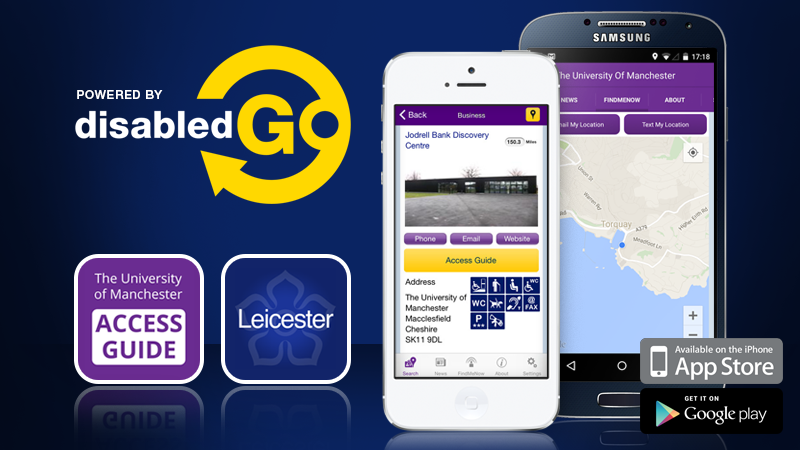 DisabledGo give you the UK’s most trusted detailed access information for places to go! DisabledGo is a fleet of applications that give guidance on access information. Each application is specified to a particular area in the UK. The information in each guide is based on individual surveys by a highly trained surveyor. It produces factual and objective guides to each venue enabling the user to make their choices about where to go and the independence to make the most of their community. DisabledGo applications give you information on venues like hotels, restaurants, theatres, cafes, bars, sports grounds, cinemas, shopping centres, tourist attractions and much, much more! Instant detailed access information to places to visit at the touch of a button. Each detailed access guide has information about opening times, directions, ramps, lifts, accessible toilets and much more! Never worry about finding an accessible toilet again with “Find A Loo”. The app will give you distance and directions to the closest accessible toilet and a detailed description and photo’s of the toilets facilities. The world’s first integration between mobile access information and maps, you can now locate and get directions directly to your chosen accessible place to visit. Built in emergency locator that can send an SMS or email to your chosen contact along with your current GPS location. Making sure you are always safe. Using DisabledGo’s unique access symbols you can now personalise your app to show access information relevant to you. We’ve tried our best to make the DisabledGo applications as accessible as possible. High colour contrasts, big buttons, dynamic text and VoiceOver compatibility makes our access information available to those visually impaired. Local information on hotels, restaurants, theatres, cinema, and much more! Distance and directions to near facilities. Emergency locator to your chosen contact with your GPS location. VoiceOver capability for the visually impaired.